Beware prices on the S60 T6. At $38k, it's priced in a sweet spot just below many of the sport-sedan alternatives. But add a few options, and it no longer looks like such a value. The 2012 Volvo S60 family shows that sport sedans can feel edgy without giving up their leading edge in safety, design, and interior interior comfort. Volvo isn't what it used to be, and positively, the Volvo S60 is a poster child for what the brand has evolved to--combining a more curvaceous exterior with a cool Scandinavian interior design, class-leading safety, and performance that sets its sights on the likes of the Audi A4, BMW 3-Series, and Acura TSX. And for 2012, the S60 has a little more appeal yet for driving enthusiasts, with the introduction of a new 2012 S60 R-Design model aimed at those who might just take their Volvo on the track once in a while. The 2012 S60 is more rakish and aggressive than any previous Volvo sedan on the outside, with smooth contours and swooping lines matched up with a low, wedgy front and pert tail, and framed with large flashy alloy wheels. It's handsome yet expressive from a few paces back. Inside, the S60's cabin is very stylish, yet functional, with a 'floating' center stack of controls that pushes the Swedish design ethos into a hipper direction. Textures and design themes inside are far from the ordinary for luxury sedans. Last year, all Volvo S60 models came in high-performance T6 form—with a 300-hp, 3.0-liter turbocharged in-line six-cylinder engine and all-wheel drive. Now for 2012, a more affordable front-wheel-drive S60 T5 model (powered by a 250-hp 2.5-liter five-cylinder) has joined the lineup, as well as a new enthusiast-focused R-Design mode that offers a 'chipped' version of the six, making 325 hp. In both the S60 T6 and R-Design models, the engine is smooth, strong, and sweet-sounding, with an uninterrupted rush of power when you need it. The six-speed automatic transmission (there's no manual...yet) doesn't always respond as quickly as you'd hope from a sport sedan. In T6 or T5 forms, the S60 doesn't feel quite as sharp as focused enthusiast sedans like the Mitsubishi Evolution, Subaru WRX STI, or Nissan G37 or BMW 3-Series, but some will prefer it that way, as a tight, quiet cabin and good ride quality factor in to give it a true luxury-car feel. The 4C dynamic chassis system in the T6 makes it the pick of the bunch for combining performance and comfort; T6 models get driver-selectable steering feel, too. But the T6 R-Design throws that out in favor of a dedicated Sport suspension that's lowered and noticeably stiffer; it also brings out the road noise. The S60 is just a bit smaller than most U.S.-market mid-size sedans, yet it's a five-seater with true space for four adults. The swoopy roofline allows enough headroom for most, and provided you're not positioning the lankiest passengers front-to-back, there's decent legroom. Though the curvy S60 doesn't have the versatility offered by those box-on-wheels designs Volvo built through the 1990s, this sport sedan does hold true to another Volvo expectation: safety. Volvo's Pedestrian Detection safety system can automatically stop the car if it detects a pedestrian and the driver fails to react. And while it hasn't yet been tested by the feds, the insurance-affiliated IIHS has already fully tested the 2012 S60 and made it a Top Safety Pick. With base prices on the S60 dropping to about $31k for 2012 with the introduction of the front-wheel-drive S60 T5, the S60 is looking like a stronger deal for 2012 for those who simply want a well-equipped yet stylish luxury sedan. The T5 includes a long list of features, including tech extras like Bluetooth calling and audio streaming, HD Radio, dual-zone climate control, and a power driver's seat. The S60 T6 upgrades to leather upholstery and larger alloys, in addition to all the performance upgrades, and the top R-Design includes xenon headlamps and a moonroof among the many trim upgrades. 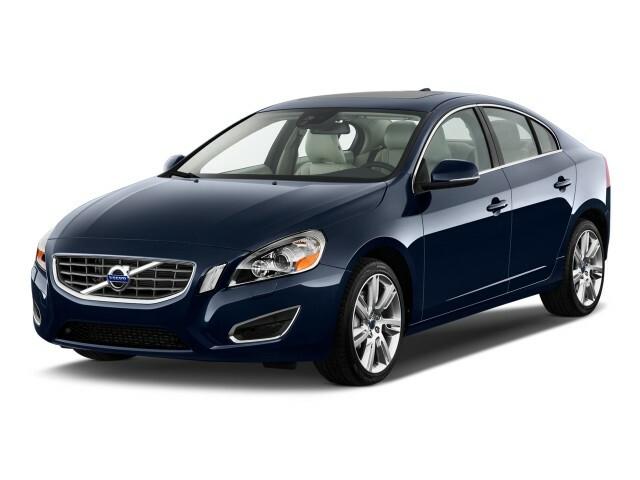 Stylish, aggressive, and modern, the 2012 Volvo S60 is handsome, but not the most daring sport sedan option available. Rakish, aggressive, yet still definitely a Volvo, the 2012 S60 is the hottest-looking car Volvo's ever offered. Expressive, organic details make for a handsome sedan, matching smooth contours and sweeping lines with wedgy front and rear proportions riding on large, flashy alloy wheels. The S60 R Design model is even more aggressive, with a rear diffuser, sport tailpipes, a spoiler, and other R Design elements marking it out as unique. The interior of the S60 is a modern take on Volvo's Swedish design ethos, with a captivating floating center stack, highly textured surfaces, and uniquely accented theme details. Eschewing the abundant leather and matte metallic trims of rival brands, Volvo has tapped into a stark, simple layout that's nonetheless warm and inviting while remaining functional. Two-tone elements can be found on the upholstery, instrument panel, and material textures. Organic themes again are visible, with the dash material modeled after rippling water. The R Design gets its own theme, with a unique steering wheel, upholstery, and other trim items adding to the more track-oriented look. The 2012 Volvo S60 T6 and R Design models offer impressive sport sedan performance, though they lack the track-rated edge of some competitors. Backing up its aggressive looks, the 2012 Volvo S60 delivers on the performance front despite not offering a large V-8 engine. Instead, the S60 takes its power from a choice of turbocharged in-line five- and six-cylinder engines. The S60 T5's engine is a 2.5-liter turbo in-line five-cylinder, good for 250 horsepower and 266 pound-feet of torque. It's not quite as strong as the T6 model, but delivers its torque from a very low 1,800 rpm. The T5 is only available in front-wheel drive. The S60 T6 gets a 3.0-liter turbocharged in-line six-cylinder, rated at 300 horsepower and 325 pound-feet of torque. It's the only engine available in the S60, but it's a very good one, feeling even more powerful than its numbers would suggest. 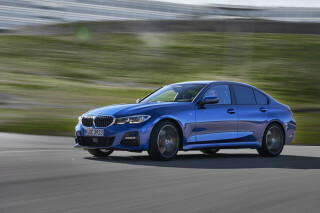 It's paired with a six-speed automatic transmission and all-wheel drive for easy driving and fast acceleration, plus great all-weather capability. 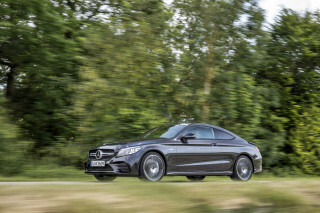 Acceleration to 60 mph takes just 5.8 seconds, picking up speed very quickly once boost builds. The S60 R Design also uses a 3.0-liter turbocharged inline six-cylinder, but in this application it's tuned for more power: 325 horsepower and 354 pound-feet of torque. This just adds to the T6's already very good acceleration. The R Design also gets a unique tuned suspension system standard, offering crisper handling and sportier ride. Steering and handling are also very good, with excellent feel from the steering wheel in standard configuration, and a MyCar menu system that offers three different levels of driver-tunable assist for further enhancement. Despite the S60's weight and size, it's very maneuverable, feeling confident in high-speed turns and nimble in slow turns. All of that said, the S60, while very fast and capable, isn't a track-bred sport sedan like some BMWs or S-line Audis. It's more than up to the dask on the street, but small delays in shift requests, throttle response, and other ride-smoothing characteristics become noticeable at pace on a track. The S60 also doesn't offer paddle shifters on the steering wheel, instead forcing those who want to shift manually to use the console-mounted lever; the manual mode also doesn't hold gears like you'd expect, unexpectedly downshifting on heavy throttle when you might want to use a lower gear. The 2012 Volvo S60 is remarkably efficient in its use of space, blending ample passenger and cargo space with a relatively compact footprint. Despite the S60 moniker, it's not very large. 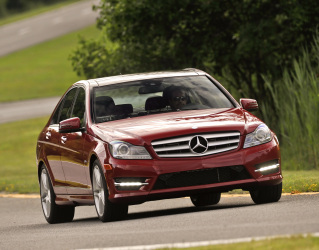 In fact, it's about the same length as the Mercedes-Benz C-Class or Acura TSX. It is, however, efficient in its use of space, with plenty of room for give passengers. Taller occupants may find the seat bottom cushions a bit short on thigh support, but the front-seat experience is otherwise roomy and relaxed, with comfortable seats. The outboard rear-seat positions are able to fit taller passengers than they'd otherwise be able to, thanks to Volvo's decision to place the seats lower and recess them somewhat into the seatback. The resulting additional leg room alows even those over six feet in height to sit comfortably. The high rear deck isn't just for sporty, wedge-shaped design; it also makes the trunk larger, and with its large opening and 40/60 split-folding rear seats, the S60 can hold a surprising amount of cargo. Wind, tire, and road noise are well-controlled, and the ride quality is European: firm, but smooth. Three different suspension options offer some variability in ride, with Touring, Dynamic, and Four-C Active Chassis options. The Dynamic suspension is standard, with Touring offered as a no-cost, more comfortable option. The upgrade to Four-C Active Chassis suspension enables Comfort, Sport, and Advanced modes for increased driver control. The 2012 Volvo S60 is loaded with safety features and technology, and its excellent crash-test scores reflect that. Volvo's reputation for safety has been earned, and the 2012 S60 continues the work, with an impressive array of electronic assists and both active and passive safety equipment. The IIHS (Insurance Institute for Highway Safety) rates the 2012 S60 a Top Safety Pick, winning top marks of "good" in all test categories. The NHTSA (National Highway Traffic Safety Administration) likewise gives the S60 perfect scores of five stars in all categories. Helping the S60 achieve these scores are the expected items, like front, side, and side-curtain airbags; anti-lock brakes; plus stability and traction control. More innovative features include Corner Traction Control, which directs torque across the car to enhance grip in aggressive maneuvers; a radar-based Pedestrian Detection with Full Auto Brake, which can identify and brake for pedestrians or other objects in the road if the driver doesn't give the system indication they're trying to avoid it; and much more. Some of the advanced safety systems are optional, like Driver Alert Control, Adaptive Cruise Control, and Lane Departure Warning, all included as part of the Technology Package. Blind Spot Information System is available as a standalone option. 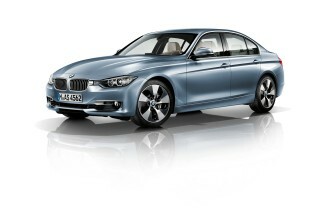 Parking sensors, front and rearview safety cameras with wide-angle lenses, and active HID headlamps are also available. The 2012 Volvo S60 offers some of the best safety and entertainment technology in the class, but piling on the options can quickly raise the price tag. From sound system upgrades to navigation, traffic information, and all of the climate control features you can imagine, the 2012 Volvo S60 offers a wide range of upgrades on top of a fairly comprehensive base specification. Entry-level S60 T5 models include power accessories, cruise control, driver control interface, a trip computer, Bluetooth hands-free communication and Bluetooth audio streaming, HD Radio, USB/iPod/auxiliary input, CD/MP3 audio system, and more. The T6 adds to the T5's equipment list with a standard integrated garage door opener, leather upholstery, and 18-inch alloy wheels among other times. Moving up to the R Design gets all of the T6's features, except where replaced by unique R Design versions. Unique elements to the R Design include: interior and exterior styling, a sport steering wheel, diamond-cut dark gray alloy wheels, and of course the R Design performance upgrades. Optional extras available on all S60s include headlight washers, rain-sensing wipers, power-retractable door mirrors with ground lighting, park-assist rear camera, navigation, and a premium Dolby Pro Logic surround sound system. While the base spec of the S60 is feature-packed, the long list of technology and safety upgrades available can quickly add to the price, easily pushing loaded models above the $50,000 mark. The 2012 Volvo S60 is rather fuel efficient given its luxury and performance status, but it doesn't stand out from the crowd. Using relatively small, turbocharged engines enables the Volvo S60 to achieve a balance of performance with gas mileage. The front-wheel-drive base S60 T5 is the best of the lot, at 23 mpg city and 30 mpg highway for a combined rating of 23 mpg. The S60 T6 and R Design models both score 18 mpg city and 26 mpg highway in EPA testing, for 21 mpg combined. Despite the respectable figures, the S60 doesn't stand out amongst its luxury sedan competitors, which also use advanced technologies and engines to achieve reasonable gas mileage. This is such an enjoyable car to drive. 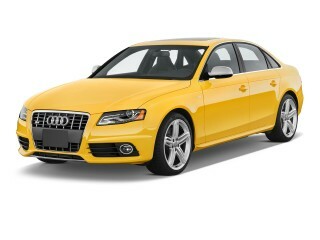 the 250 HP provides wonderful response with very respectable gas mileage on the highway. It has lots of grunt to get you up and going in a hurry. It handles far better... This is such an enjoyable car to drive. 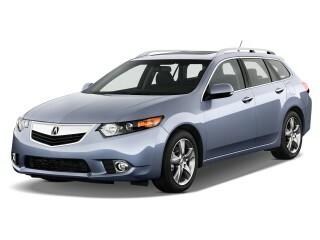 the 250 HP provides wonderful response with very respectable gas mileage on the highway. It has lots of grunt to get you up and going in a hurry. It handles far better than any other Volvo I have owned making it a treat to drive on twisty roads. Great dollar for fun ratio. My S60 is 4 years old but has only 38,000 miles on it. It's an attractive car, but in the current swoopy style - I miss the older boxy Volvos. The interior is very attractive with high-quality materials. The... My S60 is 4 years old but has only 38,000 miles on it. It's an attractive car, but in the current swoopy style - I miss the older boxy Volvos. The interior is very attractive with high-quality materials. The back seat could benefit from a few more inches of legroom. My Volvo is a T-5 model with a 5-cylinder 250 HP engine. Very smooth and responsive. The handling is quite good. I do mostly around-town and average about 21 MPG. I wish it were a little less thirsty, but guess that's the trade off for a solid substantial body and a relatively powerful motor. The S60 is a comfortable car. The much-lauded seats live up to their reputation; power lumbar adjustment would be nice. The car probably weighs about 3,400 pounds and feels very solid but still maneuverable. It seems we'll put together and inspires confidence in the build quality. The car is inherently safe due to the sturdy build and a small army of air bags. I ordered adaptive cruise control and blind spot monitoring. The former works well but requires trust when slowing from 70 MPH for a slow car in front. The latter sometimes is affected by rain. My complaint is that both were fairly expensive options . If Volvo wants to maintain its safety standing, such items should be standard equipment. And the car lacks a rear view camera. The S60 is nicely equipped but lacks some extras (puddle lighting, etc.) available on less expensive cars. I find the radio controls confusing and the various menus for many adjustments very confusing. I suspect that is attributable in part to my being 62. As I mentioned earlier, fuel economy is OK. I'm curious as to how much better Volvo's new line of E-series 4 cylinders will do in this department. It is nice that only regular fuel is required.